Caila Quinn and Nick Burrello on a Hover Boston flight over the city. Boston can be a notoriously difficult city to navigate on the ground level. There are corn mazes far more orderly and sensible than the streets of Beacon Hill or the North End. Siri can offer some help with this matter, but the Kimpton Onyx hotel is now offering its guests a chance to see Boston and all of its history in a much easier way — from above. 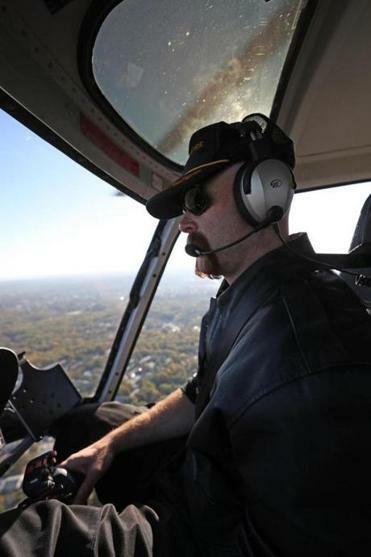 Pilot Jeff Hubbard at the controls aboard a Hover Boston flight. 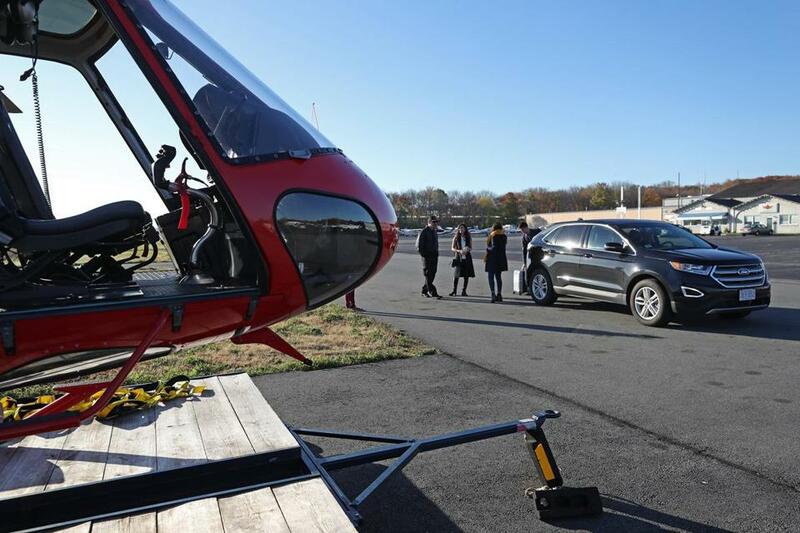 The hotel has partnered with Hover Boston to give guests an opportunity to buzz above the city in a helicopter. The experience gives visitors one of the finest panoramic views of Boston. Sorry Top of the Hub, we still love you. Those splurging on this ride can also request that the helicopter fly over a specific location, or ask for a ride over the mountains for a unique way to see (what’s left of) the foliage. Braver individuals with no fear of heights and a strong constitution can take the flight without doors on the helicopter. Instead, they are strapped in tightly for unobstructed views. This kind of fun doesn’t come cheap. A 30-minute excursion is $200 per person. If you’ve got the time — and the cash — you can extend the length of your trip or the distance traveled. You can also add (for an additional fee) a picnic lunch, posh dinner, or a bottle of your favorite bubbly to make the skies a little friendlier. The helicopter package is subject to availability with a minimum one week advance booking. It’s also subject to finicky New England weather. Room rates at the Kimpton Onyx start at $179 per night. 155 Portland St., www.onyxhotel.com. 617-557-9955. Kimpton Onyx in connection with Hover Boston arranges ground transportation from the hotel to Norwood Airport. Pilot Jeff Hubbard helps prepare passengers for the Hover Boston flight at Norwood Airport. Caila Quinn and Nick Burrello in safety harnesses on their 30-minute doors-off helicopter tour of Boston. After returning to Norwood Airport, Quinn and Burrello leave the helicopter.